Six, count ’em six, different carafes. If you’ve got lots of blending to do, this machine is for you. 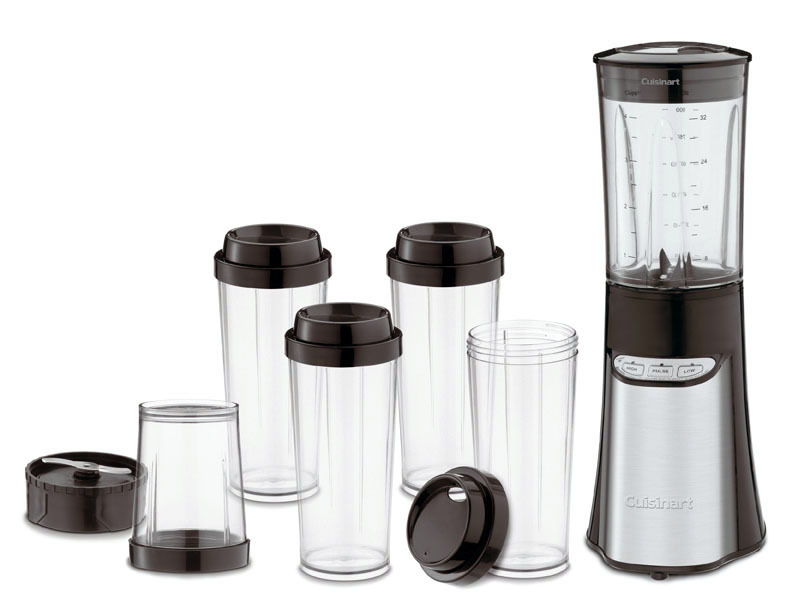 This week, we’ll be featuring an in-store demo of the Cuisinart Smart Portable Blender, a neat, multi-unit blender system that basically allows you to move from one blending project to another, and another, and another… without cleaning or rinsing your blender to start fresh each time. The quick pivot time between blends makes this a fantastic piece of machinery for families, for parties, or for people on the move – one of the best things about it is that the small blending jars double as to-go cups. There’s even a sixth cup that you can use as a mini chopper, adding even more functionality. In short, there’s a lot to love about this blender – but this sort of multipurpose machine got us thinking about an important question that we hear all the time: What exactly is the difference between what a blender does and what a food processor does? And which one do I need? Blender or food processor? Believe it or not, the Starmix is an early food processor. Blenders and food processors have a seemingly similar design that can throw the novice off on just how different the two machines are. Both come with a bottom central blade and a sloping carafe or bowl; in some ways, it looks like the only difference is that the food processor is a lot fatter! But, as with many kitchen gadgets, slight changes in the design make a whale of a difference in functionality. 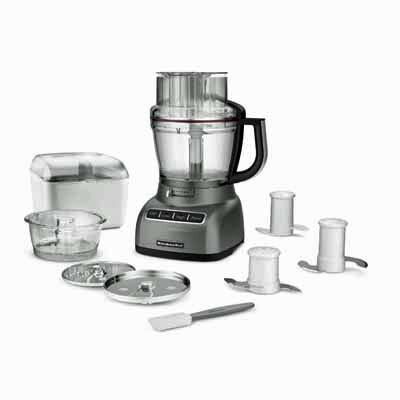 At its most basic, the food processor is a combination of many home kitchen tools into one mechanized, space-saving machine. There’s nothing that a food processor can do that you can’t do with your hands – it’s just much, much faster than any human being, John Henry notwithstanding. 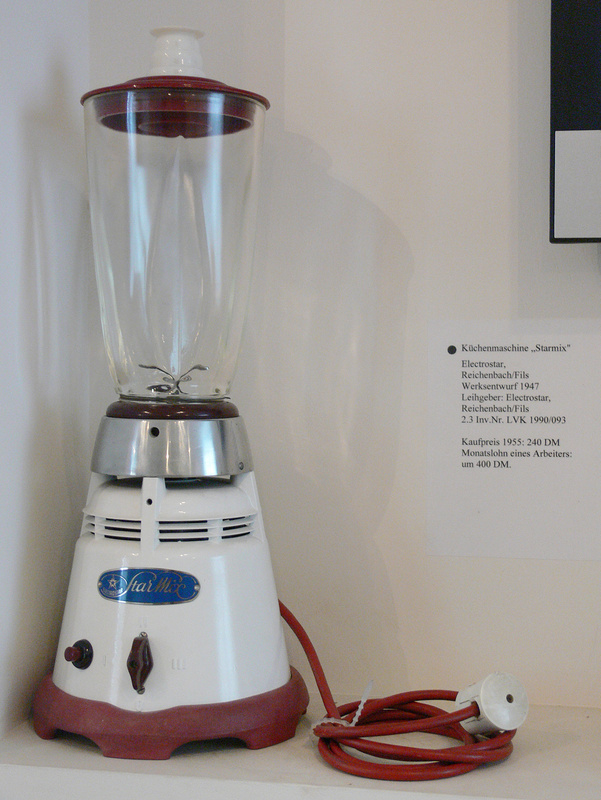 While earlier versions like the German-made Starmix (at left) veered very close to the blender design, the modern version that features a wider base and bowl was mainly popularized by Robot-Coupe and Cuisinart. The broader shape, coupled with a different blade design, helps to facilitate chopping solid foods, as opposed to blending and mixing. The best processor models can slice, dice, chop, shred, crush, puree, and even knead dough. By contrast, a blender is less about slicing and dicing and more about mixing. 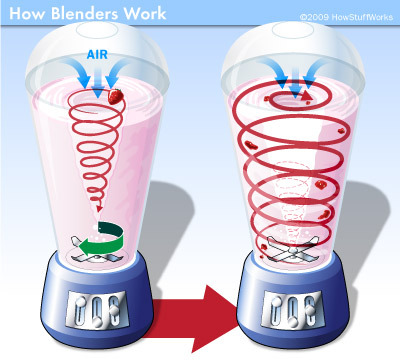 A blender’s clawed, high-speed blades keep the food at the bottom of the carafe constantly moving, creating a spiral vortex not unlike a teeny tiny tornado. The liquid is pulled down the inner vortex and then is pushed back up the sloped sides, only to fall back into the vortex again. The high-speed shuffling creates an even, smooth mixture, far smoother than you could hope to create without a blender. Hence the main design difference – where a food processor has even, on-the-level blades, a blender has angled blades on different planes, maximizing contact with food and liquid to help create the vortex that is essential to the working of the machine. Where a food processor only needs one crack to slice a tomato, a blender’s blades and thin caraffe need to create enough suction to keep the food moving until it’s all mixed up. Each manufacturer has variations on this design, but the basic idea is the same. This motion, as you can imagine, works best with softer foods like fruits and vegetables and for blending and aerating smoothies and soups, providing a level of force that us non-mechanized mortals simply can’t match. Higher-powered options (like the model we’re demoing this weekend) also work well for tougher tasks like crushing ice or chopping nuts. Immersion blenders, a newer type of blender, have gained in popularity in recent years, mostly because of the increased convenience they offer. Whereas stand blenders tend to occupy precious space on any given kitchen counter top, immersion blenders (also called hand or stick blenders) can be easily stowed away in the pantry until needed. Some models also come with mini chopper bowls that you can use for nuts and spices, and there are models on the market now that even come with whisks – no need for a hand mixer! They are frequently called upon for in-pot blending of soups or smaller smoothies, but they aren’t really suited for tasks that require heavy-duty blades. Food processors are a bit more versatile than blenders, but they still do not offer blending options. Their chief utility is to replicate many of the repetitive tasks, like chopping and slicing, necessary in any kitchen. For example, if you’re preparing fresh salsa for 25 people, the intricate dicing of tomato, onion and jalapeno, among other ingredients, may get a bit tedious after a while! Processors can make quick work of these jobs. 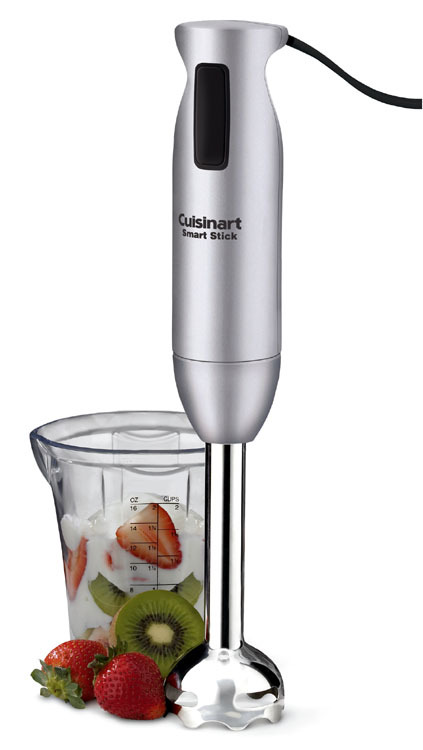 Be sure to stop by our demo on Saturday from 11-3 when we show off the Cuisinart Smart Portable Blender. Just remember not to call it a processor!